GTA is already under way and good progress has been made. See here for more information on the process. Our latest analysis (26/03/2019) shows that 45% of all trees have a conservation assessment. This includes all known published tree conservation assessments as listed on ThreatSearch which includes all tree assessments found on the IUCN Red List of Threatened Species (12,587 assessments). 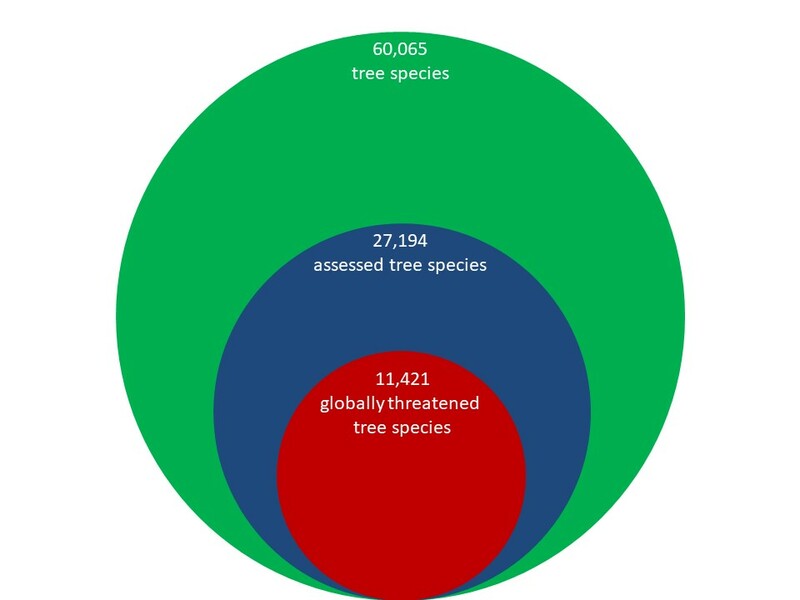 Around 48% of the already assessed trees are assessed as threatened to some level and 42% of all assessed trees are threatened globally. This means that at least 19% of all tree species are threatened with extinction globally. If you have any additional tree assessments to add to this total that are not on ThreatSearch, please contact us.